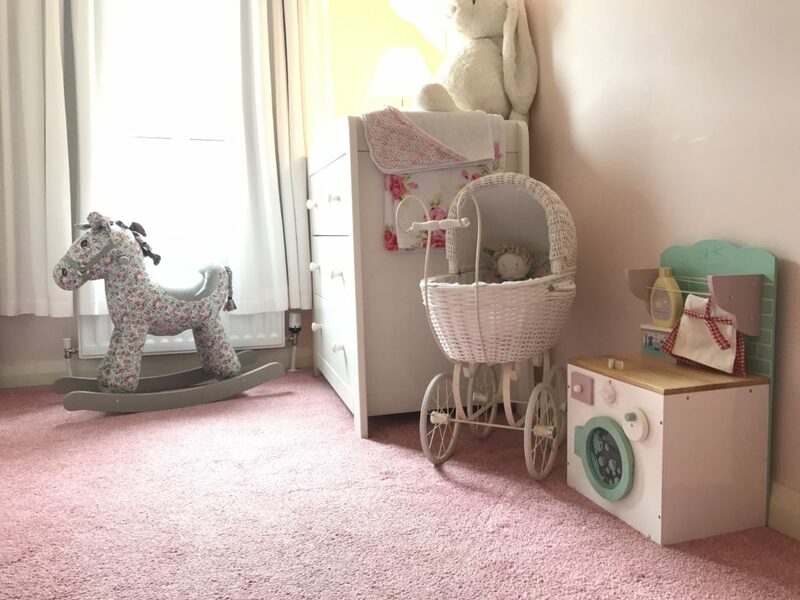 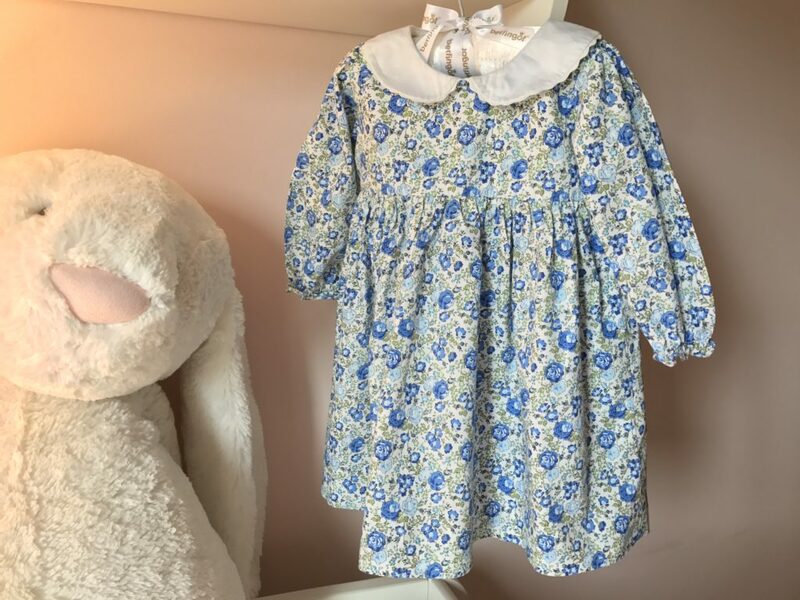 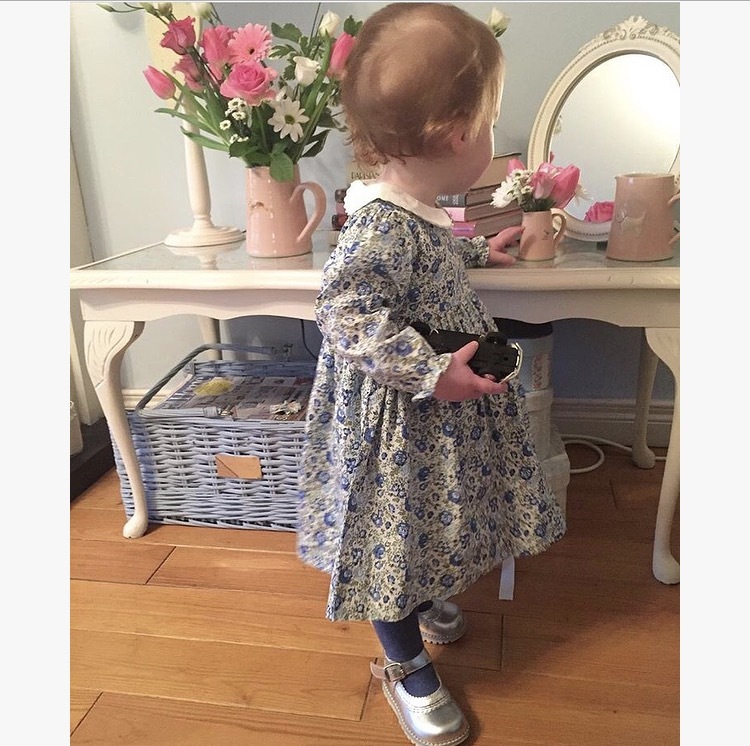 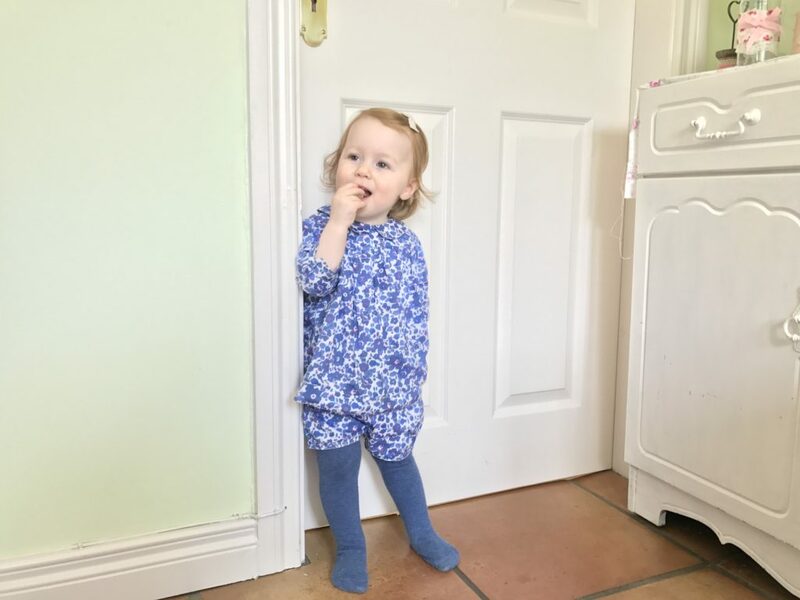 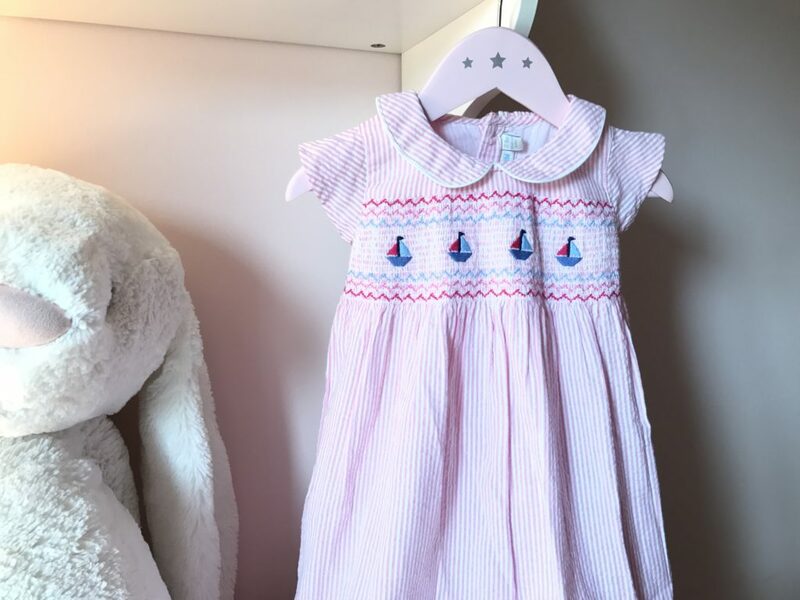 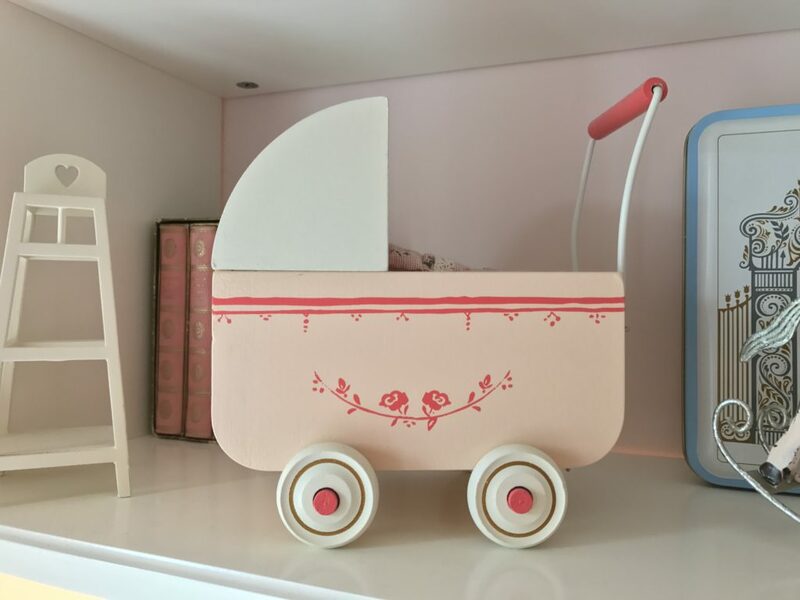 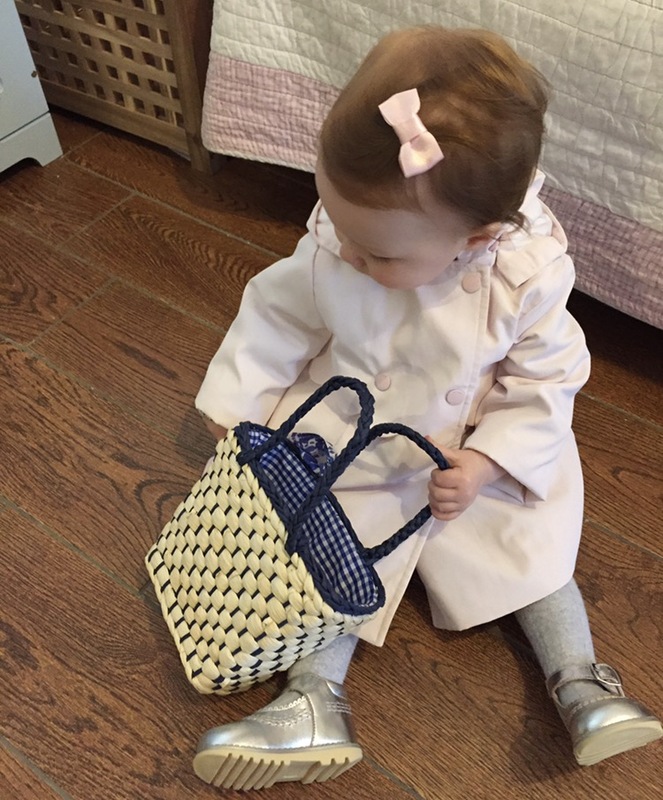 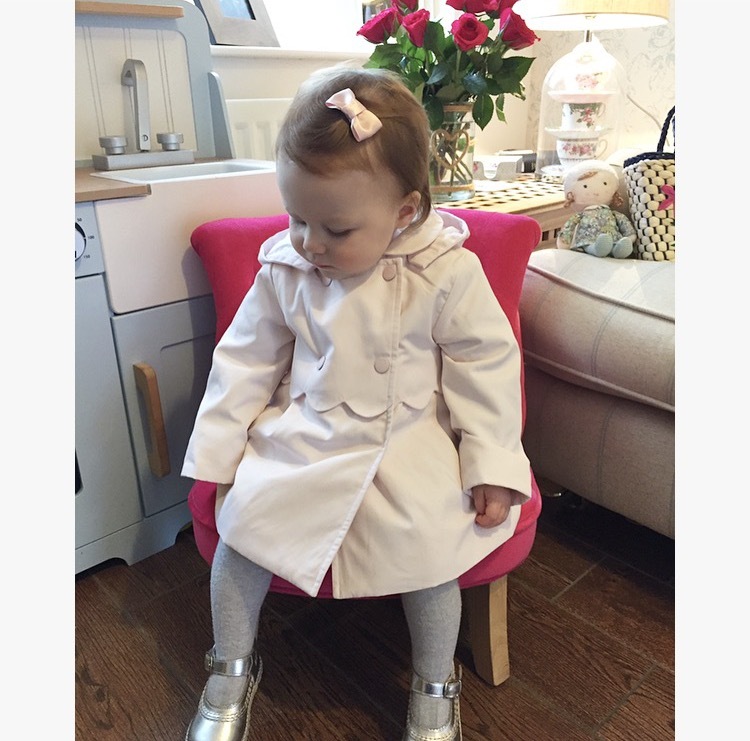 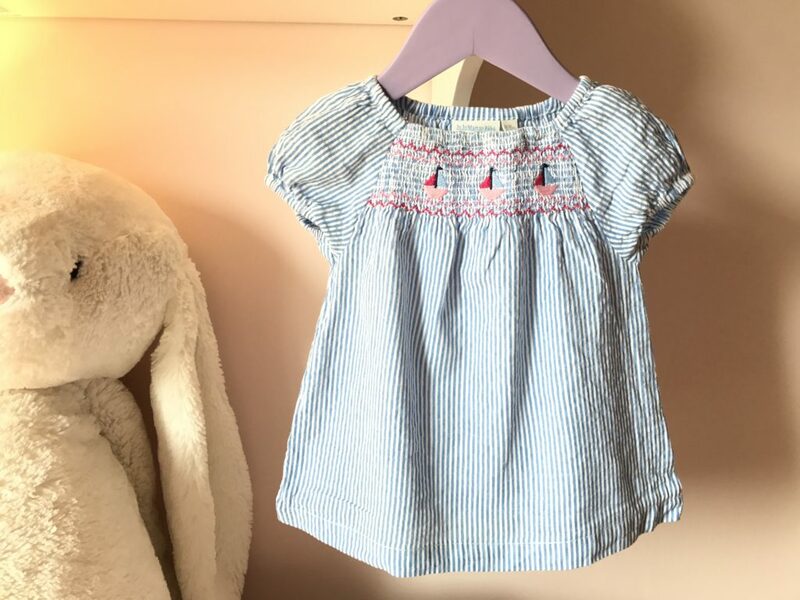 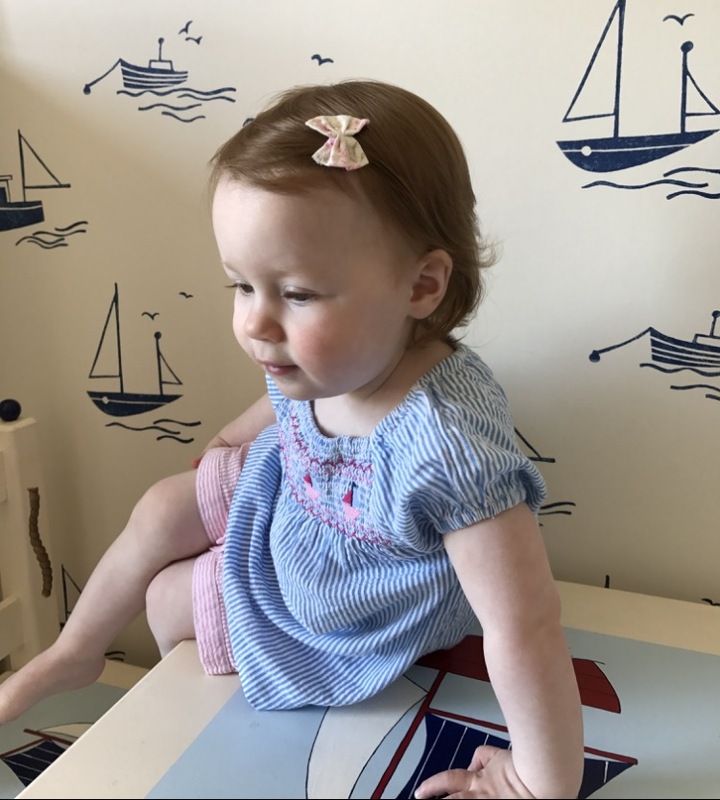 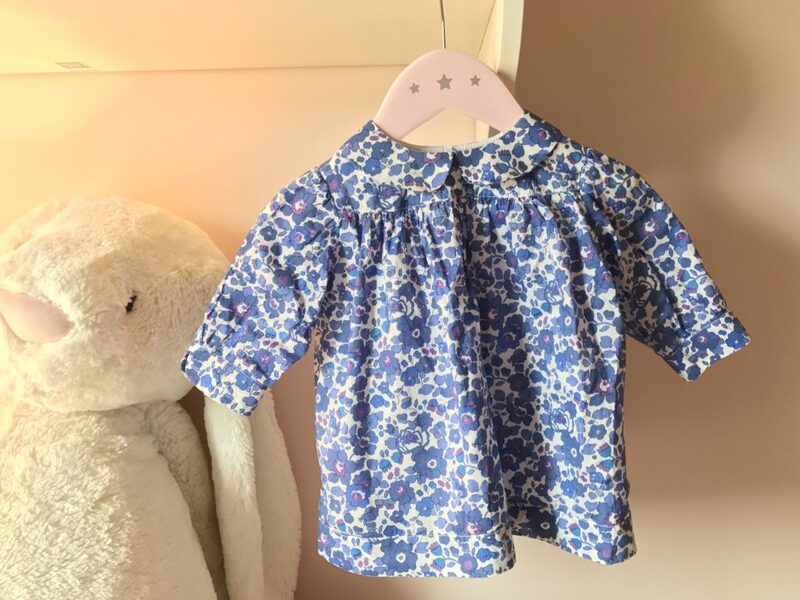 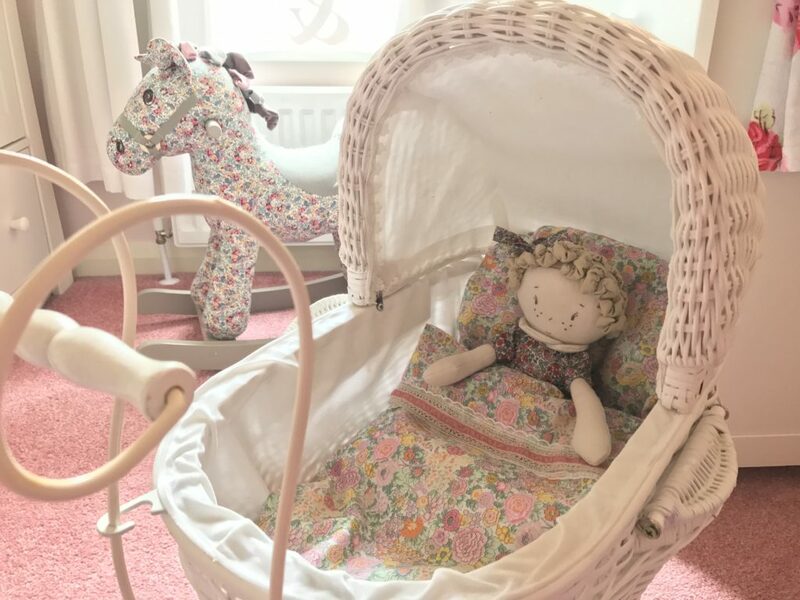 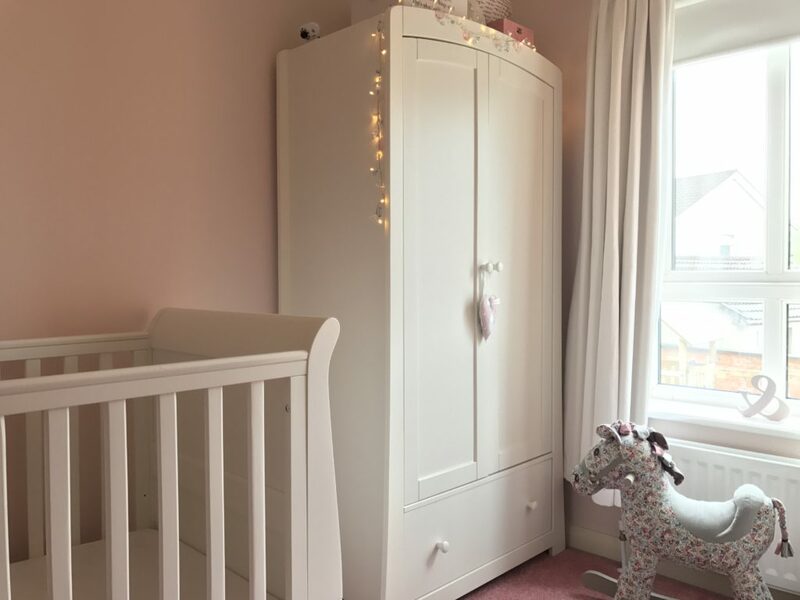 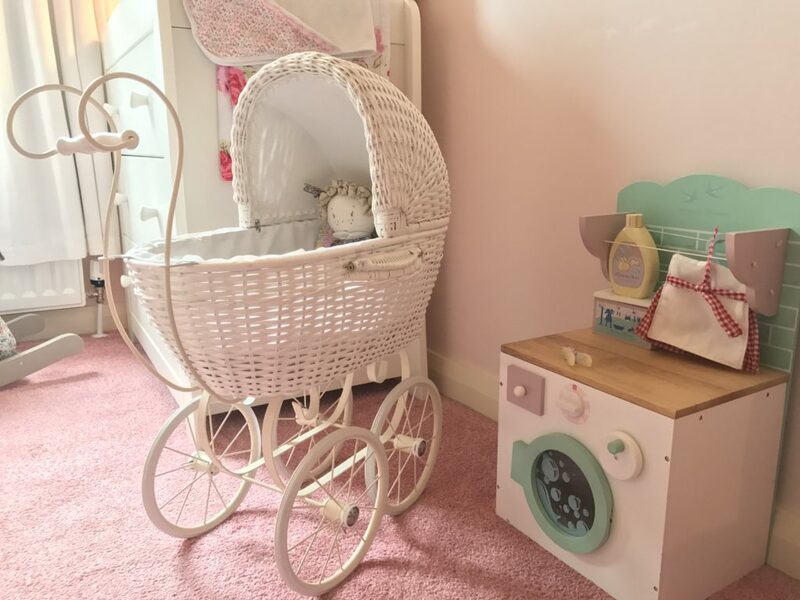 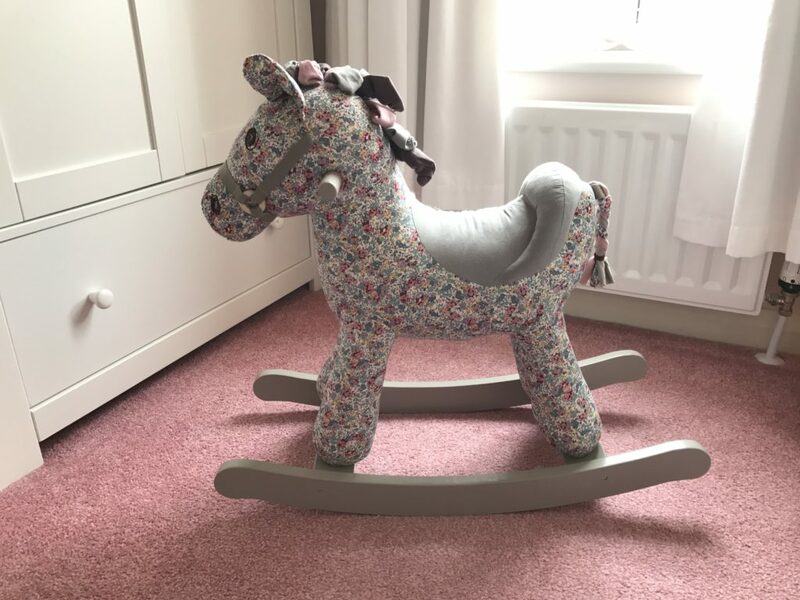 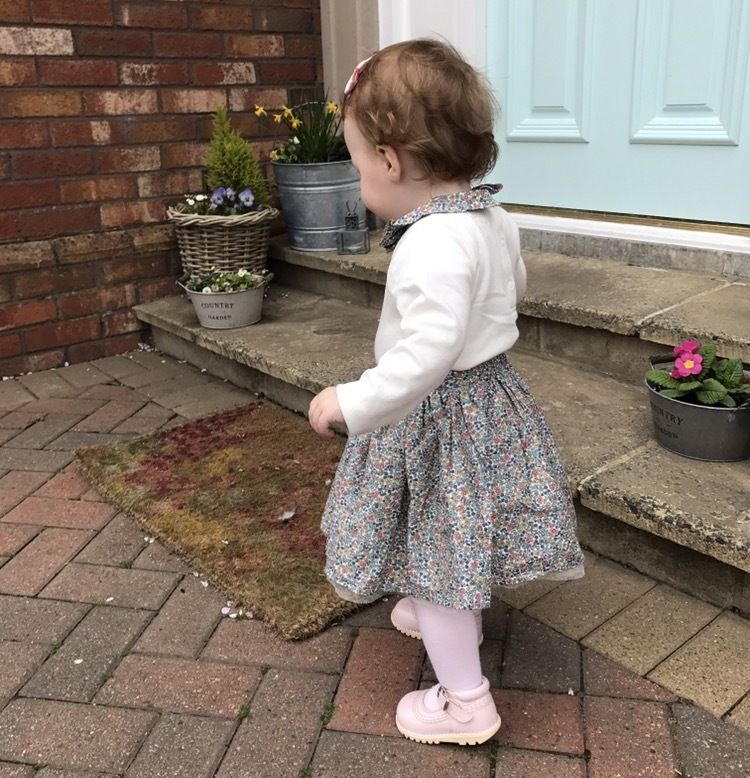 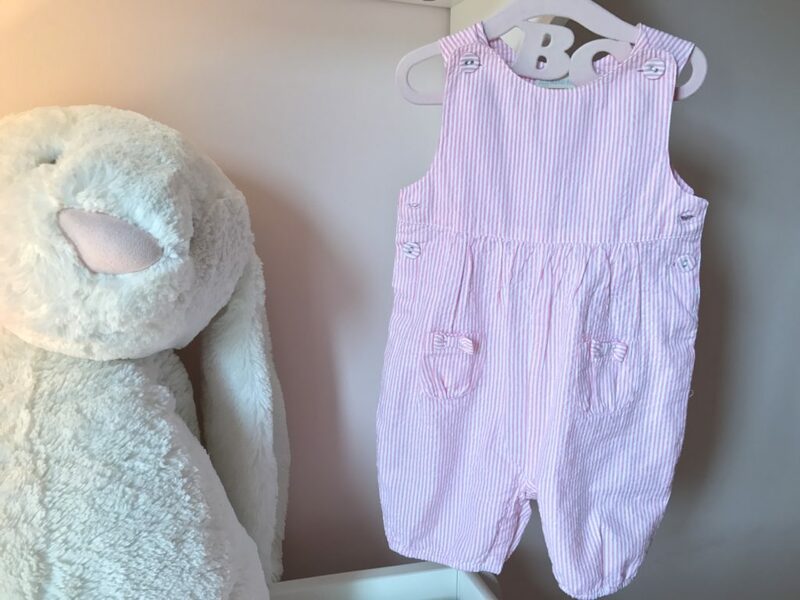 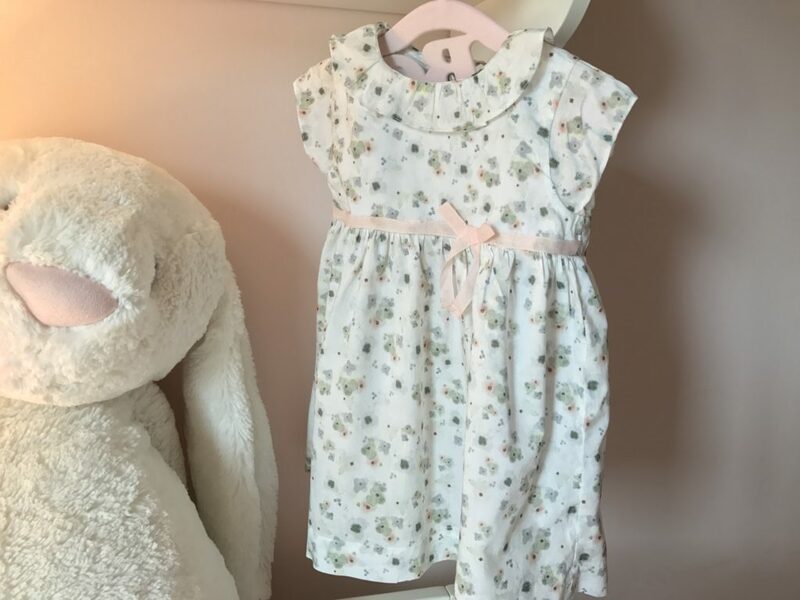 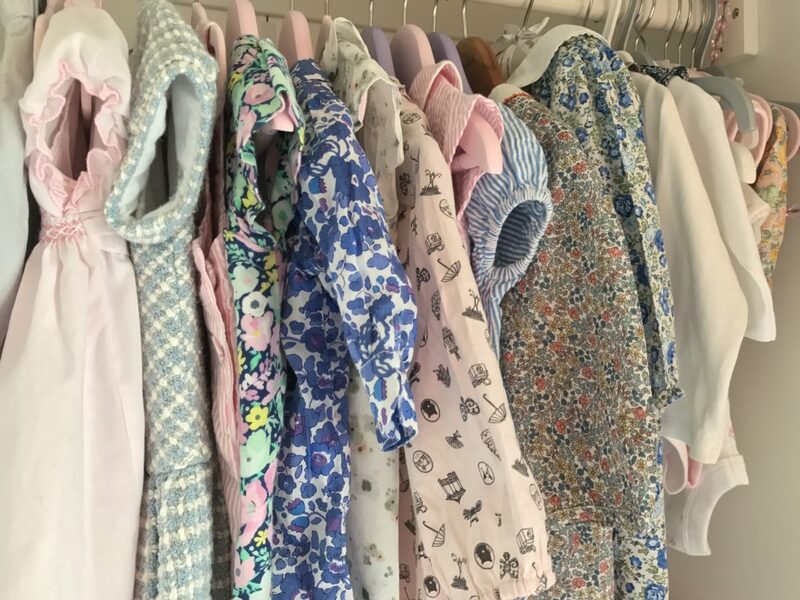 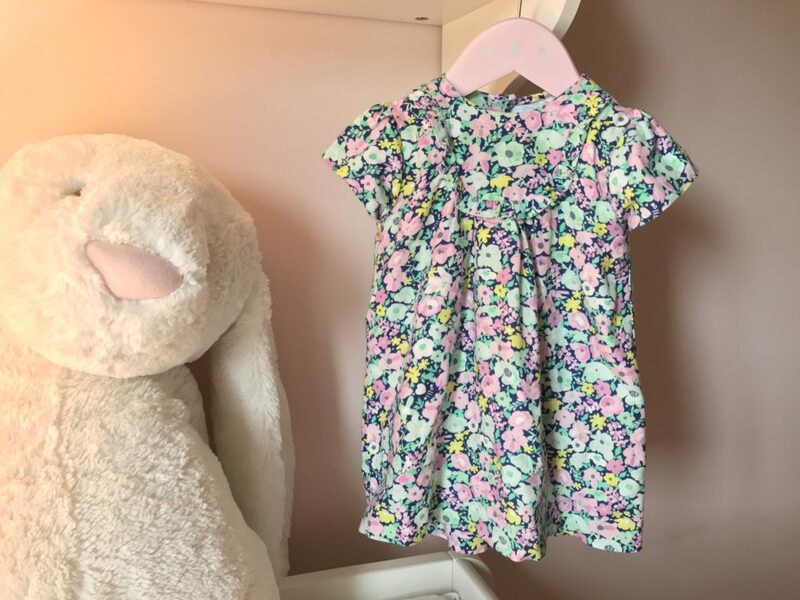 Lydia’s bedroom is very cute with white mamas and papas furniture and a few of her favourite toys like her Liberty rocking horse, her little wicker dolls pram and very cute little washing machine. 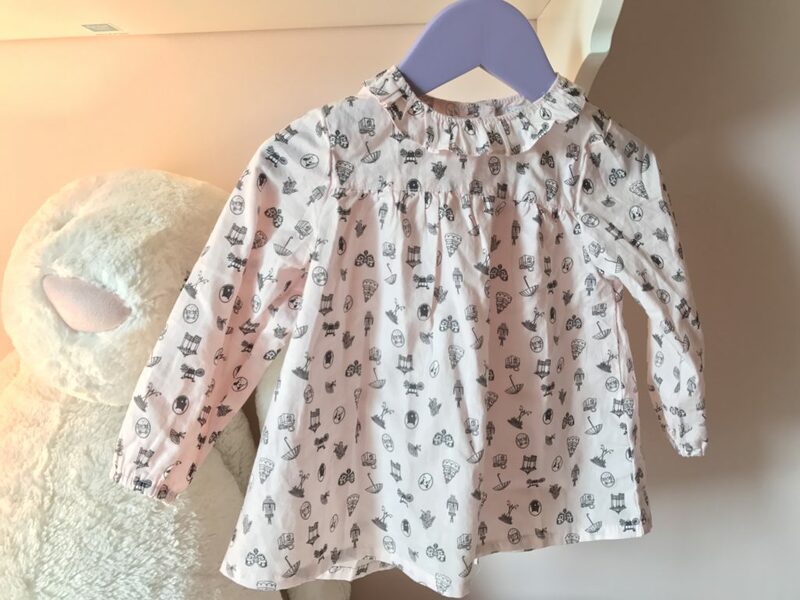 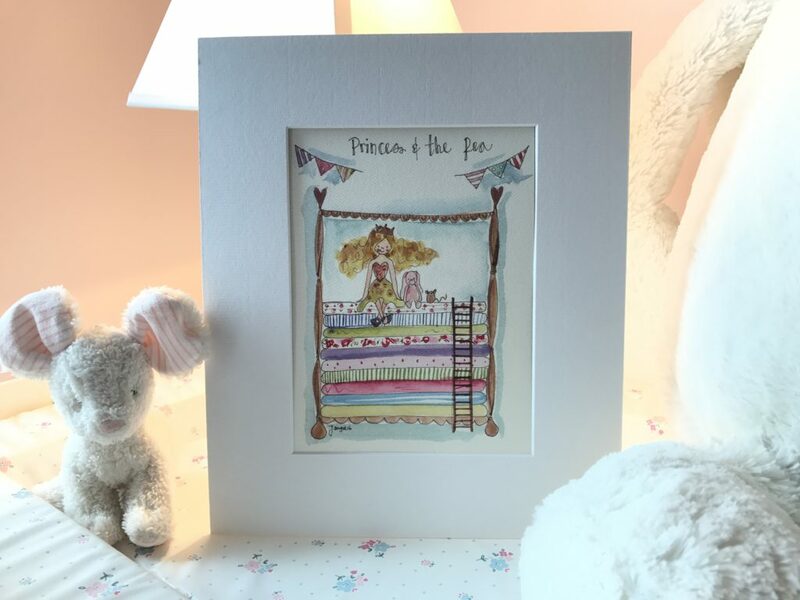 She has a gorgeous Princess & the Pea illustrated drawing from Finishing Touches Too and it’s little details like this that made her room so pretty and cute! 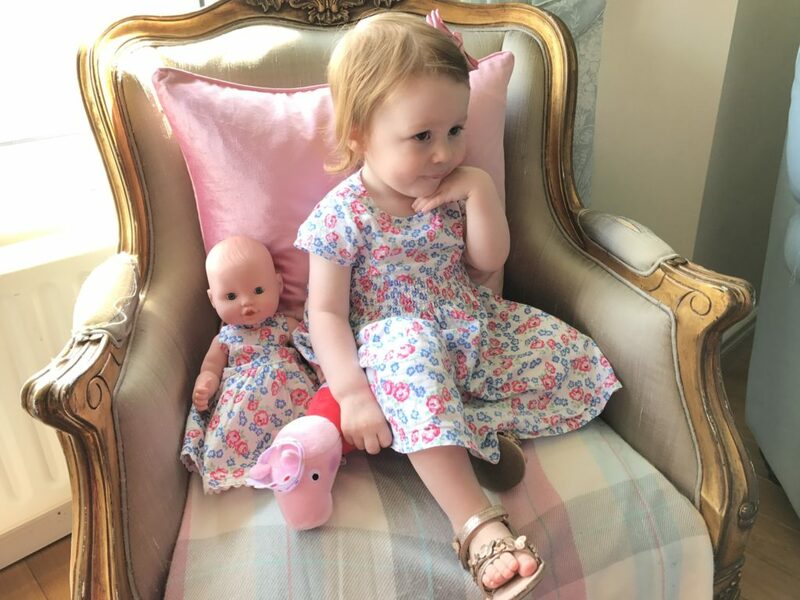 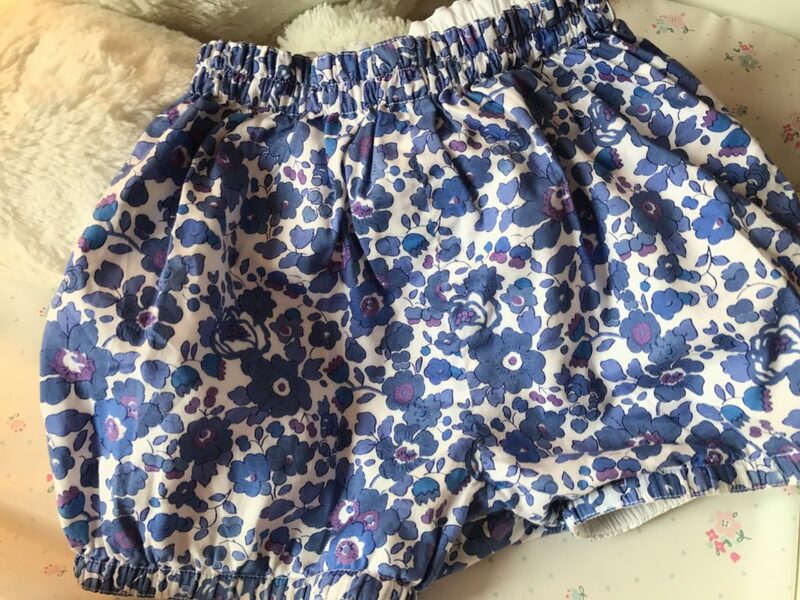 She has a little Liberty rag doll in her pram and I made a Liberty pillow & quilt for it. 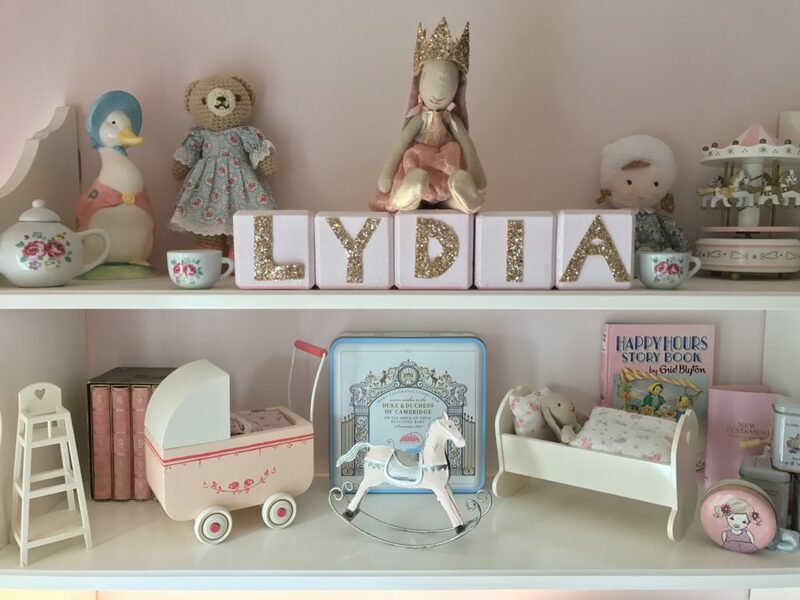 We all love the Maileg range of toys and I bought a few of them to display at Rebecca’s baby shower as she knew she was having a girl. 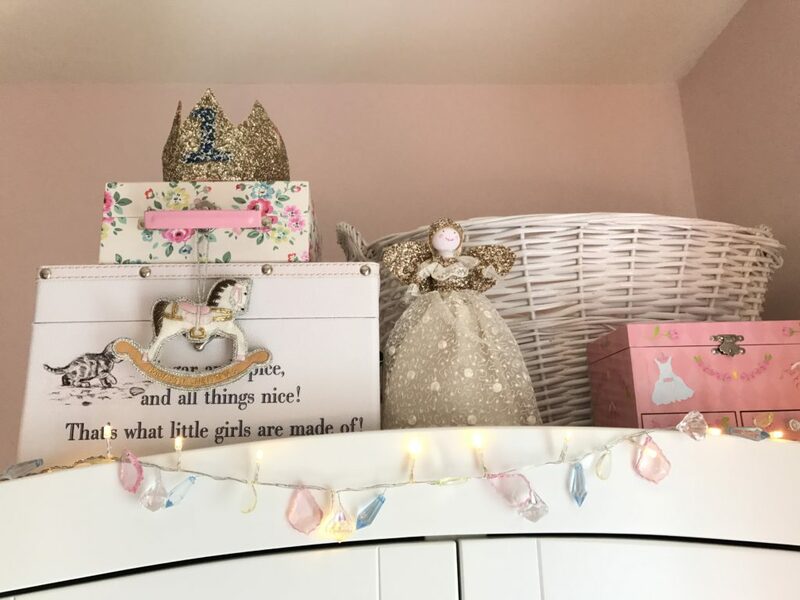 They sit on the shelf in Lydia’s bedroom as she’s still a bit too small to play with them and we plan to add some more bits at birthdays and Christmas! 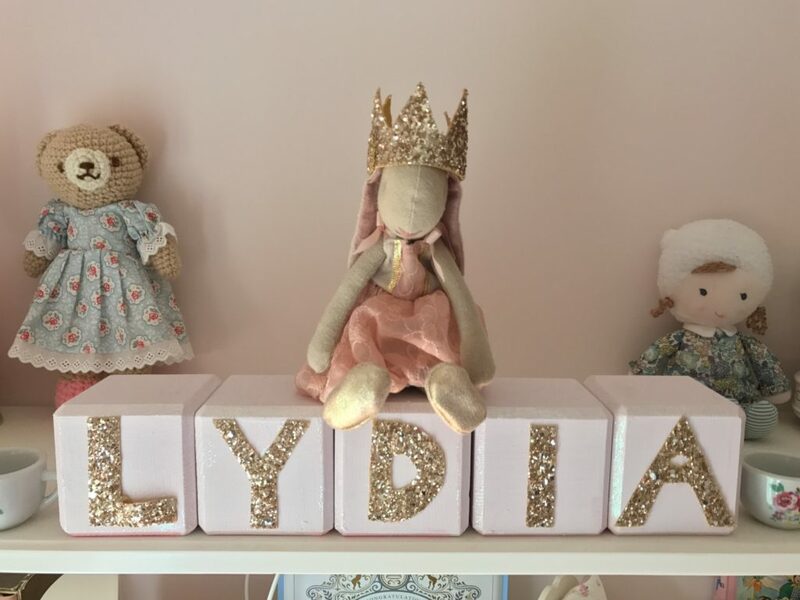 I made the little pink & gold bricks with Lydia’s name on them for her first birthday party and also the little gold crowns. 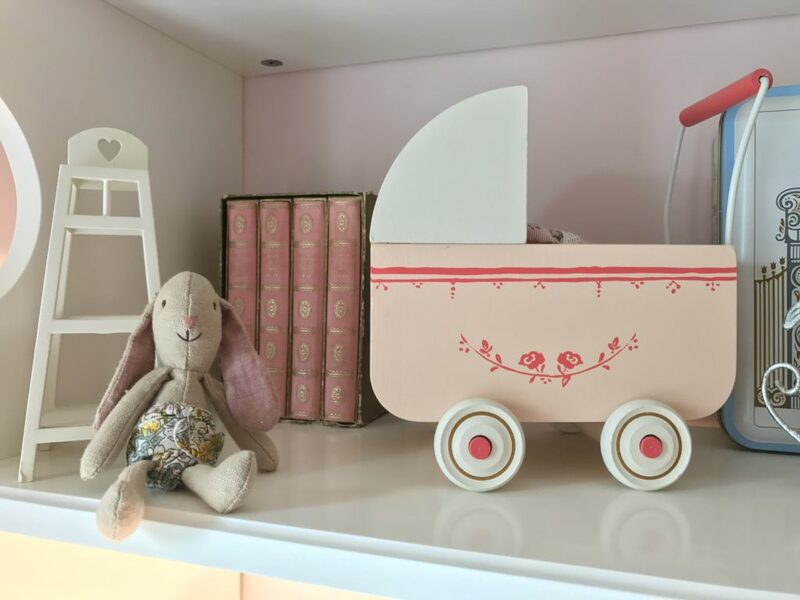 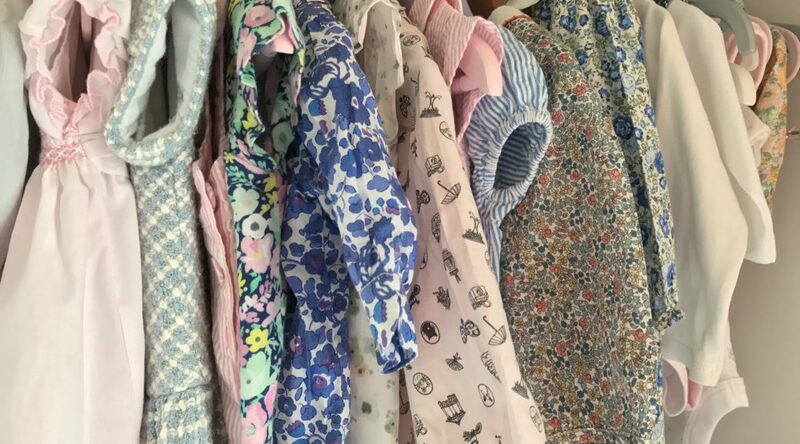 There’s also a lovely little Cath Kidston china tea set on her shelf unit and the most beautiful set of pink & gold antique French books from the fabulous White & Faded. 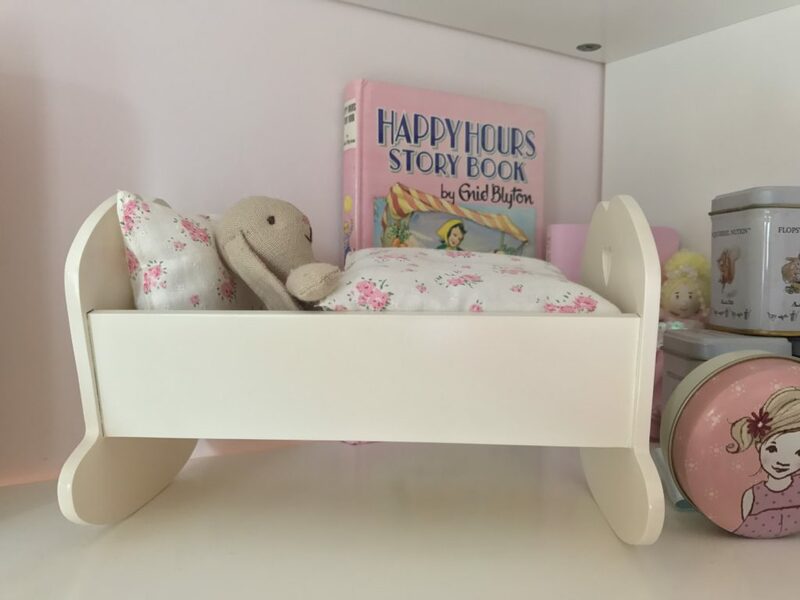 My dad is currently making a little wooden dolls cradle for Lydia , exactly the same as one he made for me around 40 years ago and I can’t wait to show you all the pics once it’s finished!